Able Distributors is proud to be participating in these two new promotions from Caleffi! Both of these programs follow the same basic principle: contractors earn points based on their Caleffi purchases through Able Distributors. Points can be exchanged for $50.00 gift cards. It’s that simple! 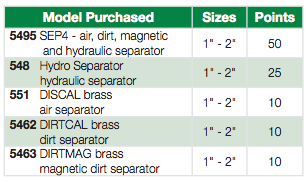 If you’re installing hydronic systems, you should already be buying Caleffi products, so this is basically free money! Both of these promotions run from Thursday, September 1st, 2016 through Monday, October 31st, 2016. All invoices must be submitted by Tuesday, November 15th, 2016. Every 20 points can be exchanged for a $50.00 gift card. 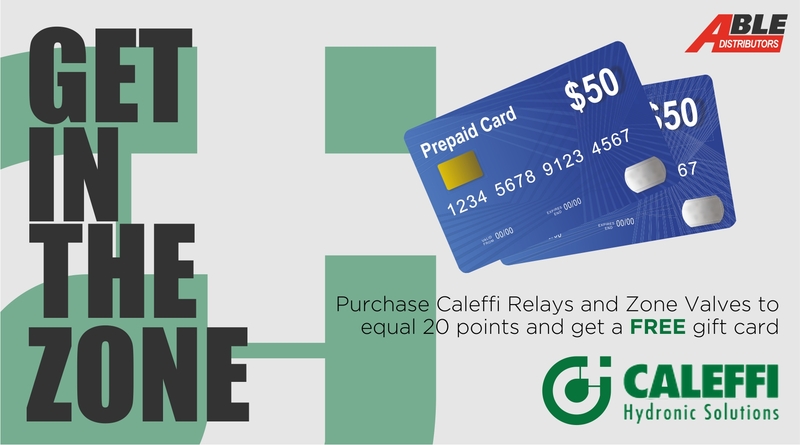 Half of the points for each gift card must come from zone relays. 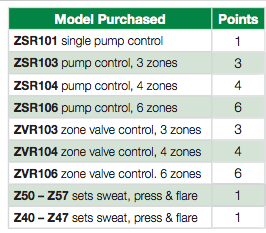 Don’t forget to check out our blog post on Caleffi zoning! Don’t forget, we’ve got a great blog post about the advantages of Caleffi separators. Below are the full rules and regulations. If you need any invoices reprinted or you have questions about the promotions, your friendly neighborhood Able representatives will be more than happy to help out!